We previously talked about what you could find in the virtual memory of a process, and where you could find it. Today, we will try to “reconstruct” (part of) the following diagram by making our process print addresses of various elements of the program. This will be our first point of reference when we will compare other elements’ addresses. It seems that our program (0x40060d) is located below the heap (0x2199010), just as expected. -> We can see that we print the same address and the same content. We are now triple sure this is our main function. You can download the Udis86 Disassembler Library here. 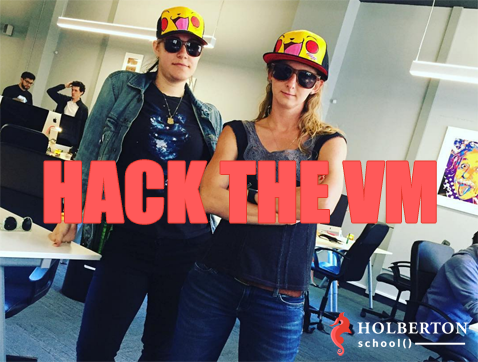 julien@holberton:~/holberton/w/hackthevm2$ ./4 Hello Holberton School! These elements are above the stack as expected, but now we know the exact order: stack (0x7ffe7d6d8da0) < argv (0x7ffe7d6d8e98) < env (0x7ffe7d6d8ec0) < arguments (from 0x7ffe7d6da373 to 0x7ffe7d6da387 + 8 (8 = size of the string "school" + 1 for the '\0' char)) < environment variables (starting at 0x7ffe7d6da38f). Actually, we can also see that all the command line arguments are next to each other in the memory, and also right next to the environment variables. Are the argv and env arrays next to each other? The array argv is 5 elements long (there were 4 arguments from the command line + 1 NULL element at the end (argv always ends with NULL to mark the end of the array)). Each element is a pointer to a char and since we are on a 64-bit machine, a pointer is 8 bytes (if you want to make sure, you can use the C operator sizeof() to get the size of a pointer). As a result our argv array is of size 5 * 8 = 40. 40 in base 10 is 0x28 in base 16. If we add this value to the address of the beginning of the array 0x7ffe7d6d8e98, we get… 0x7ffe7d6d8ec0 (The address of the env array)! So the two arrays are next to each other in memory. Is the first command line argument stored right after the env array? 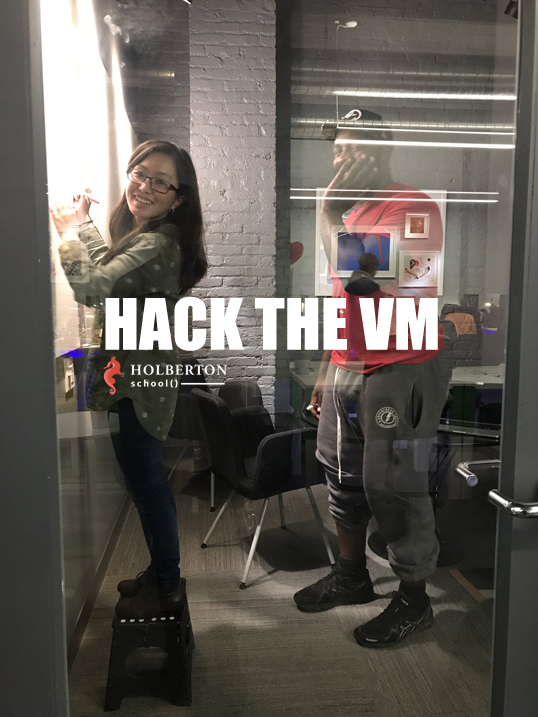 julien@holberton:~/holberton/w/hackthevm2$ ./5 Hello Betty Holberton! Let’s update our diagram with what we learned. Is the stack really growing downwards? Let’s call a function and figure this out! If this is true, then the variables of the calling function will be higher in memory than those from the called function (main-6.c). Let’s double check everything we found so far with /proc/[pid]/maps (man proc or refer to the first article in this series to learn about the proc filesystem if you don’t know what it is). It comes from the file /home/julien/holberton/w/hackthevm2/7 (our executable) and this region has execution permissions, which also makes sense. The arguments and environment variables (from 0x7fff16c81568 to 0x7fff16c8238f + 0x1f0) are located in the region starting at 7fff16c62000 and ending at 7fff16c83000… the stack! So they are IN the stack, not outside the stack. Why is our executable “divided” into three different regions with different permissions? What is inside these two regions? What are all those other regions? Why our allocated memory does not start at the very beginning of the heap (0x2050010 vs 02050000)? What are those first 16 bytes used for? There is also another fact that we haven’t checked: Is the heap actually growing upwards? We have learned a ton of things by simply printing informations from our executables! But we still have open questions that we will explore in a future chapter to complete our diagram of the virtual memory. In the meantime, you should try to find out yourself. As always, no-one is perfect (except Chuck of course), so don’t hesitate to contribute or send me your comments if you find anything I missed. This repo contains the source code (main-X.c files) for programs created in this tutorial. Follow @holbertonschool or @julienbarbier42 on Twitter to get the next chapters! 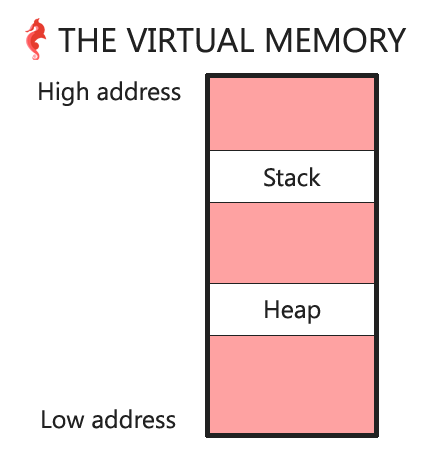 This was the third chapter in our series on the virtual memory. Many thanks to Tim and SantaCruzDad for English proof-reading! This is the first in a series of small articles / tutorials based around virtual memory. The goal is to learn some CS basics, but in a different and more practical way. For this first piece, we’ll use /proc to find and modify variables (in this example, an ASCII string) contained inside the virtual memory of a running process, and learn some cool things along the way. In computing, virtual memory is a memory management technique that is implemented using both hardware and software. 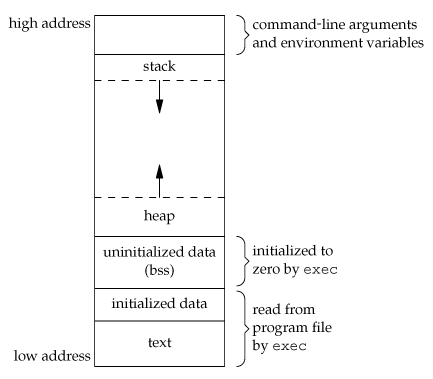 It maps memory addresses used by a program, called virtual addresses, into physical addresses in computer memory. Main storage (as seen by a process or task) appears as a contiguous address space, or collection of contiguous segments. The operating system manages virtual address spaces and the assignment of real memory to virtual memory. Address translation hardware in the CPU, often referred to as a memory management unit or MMU, automatically translates virtual addresses to physical addresses. Software within the operating system may extend these capabilities to provide a virtual address space that can exceed the capacity of real memory and thus reference more memory than is physically present in the computer. You can read more about the virtual memory on Wikipedia. The heap is a portion of memory that is dynamically allocated (i.e. containing memory allocated using malloc). Also, keep in mind that virtual memory is not the same as RAM. Take a moment to think before going further. How do you think strdup creates a copy of the string “Holberton”? How can you confirm that? The  strdup()  function returns a pointer to a new string which is a duplicate of the string s.
Memory for the new string is obtained with malloc(3), and can be freed with free(3). Take a moment to think before going further. 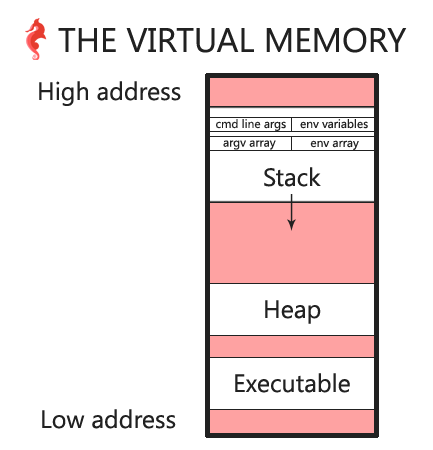 Based on what we said earlier about virtual memory, where do you think the duplicate string will be located? At a high or low memory address? Our duplicated string is located at the address 0x1822010. Great. But is this a low or a high memory address? The size of the virtual memory of a process depends on your system architecture. In this example I am using a 64-bit machine, so theoretically the size of each process’ virtual memory is 2^64 bytes. In theory, the highest memory address possible is 0xffffffffffffffff (1.8446744e+19), and the lowest is 0x0. 0x1822010 is small compared to 0xffffffffffffffff, so the duplicated string is probably located at a lower memory address. We will be able to confirm this when we will be looking at the proc filesystem). The proc filesystem is a pseudo-filesystem which provides an interface to kernel data structures. It is commonly mounted at `/proc`. Most of it is read-only, but some files allow kernel variables to be changed. Awesome! So, can we access and modify the entire virtual memory of any process? A  file containing the currently mapped memory regions and their access permissions. The address field is the address space in the process that the mapping occupies. as would be the case with BSS (uninitialized data). The  pathname field will usually be the file that is backing the mapping. by looking at the Offset field in the ELF program headers (readelf -l). A thread's stack (where the <tid> is a thread ID). It corresponds to the /proc/[pid]/task/[tid]/ path. If the pathname field is blank, this is an anonymous mapping as obtained via the mmap(2) function. this back to a process's source, short of running it through gdb(1), strace(1), or similar. This means that we can look at the /proc/[pid]/mem file to locate the heap of a running process. If we can read from the heap, we can locate the string we want to modify. And if we can write to the heap, we can replace this string with whatever we want. A process is an instance of a program, with a unique process ID. This process ID (PID) is used by many functions and system calls to interact with and manipulate processes. We can use the program ps to get the PID of a running process (man ps). We now have everything we need to write a script or program that finds a string in the heap of a running process and then replaces it with another string (of the same length or shorter). We will work with the following simple program that infinitely loops and prints a “strduplicated” string. Compiling and running the above source code should give you this output, and loop indefinitely until you kill the process. If you would like, pause the reading now and try to write a script or program that finds a string in the heap of a running process before reading further. Let’s run our loop program. The first thing we need to find is the PID of the process. dr-xr-xr-x   9 julien julien 0 Mar 15 17:07 .
dr-xr-xr-x 257 root   root   0 Mar 15 10:20 ..
Circling back to what we said earlier, we can see that the stack ([stack]) is located in high memory addresses and the heap ([heap]) in the lower memory addresses. -> 0x010ff000 < 0x10ff010 < 0x01120000. This confirms that our string is located in the heap. More precisely, it is located at index 0x10 of the heap. If we open the /proc/pid/mem/ file (in this example /proc/4618/mem) and seek to the memory address 0x10ff010, we can write to the heap of the running process, overwriting the “Holberton” string! Let’s write a script or program that does just that. Choose your favorite language and let’s do it! If you would like, stop reading now and try to write a script or program that finds a string in the heap of a running process, before reading further. The next paragraph will give away the source code of the answer! Note: You will need to run this script as root, otherwise you won’t be able to read or write to the /proc/pid/mem file, even if you are the owner of the process. 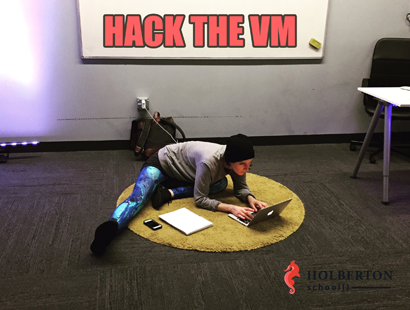 julien@holberton:~/holberton/w/hackthevm0$ sudo ./read_write_heap.py 4618 Holberton "Fun w vm!" In the next chapter we will do almost the same thing, but instead we’ll access the memory of a running Python 3 script. It won’t be that straightfoward. We’ll take this as an excuse to look at some Python 3 internals. If you are curious, try to do it yourself, and find out why the above read_write_heap.py script won’t work to modify a Python 3 ASCII string. See you next time and Happy Hacking!